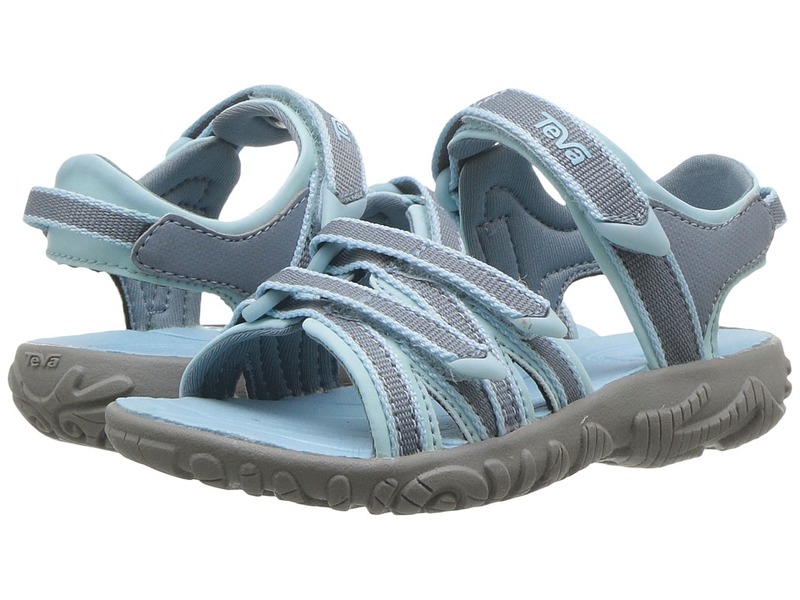 She won~t get tired of having fun in the sun, sand, or creek with the Teva Kids Tirra sandal! Lightweight and waterproof injection-molded EVA upper. Designed for surf and sand versatility. Open-toe construction allows for water to drain quickly. Adjustable hook-and-loop straps at three points for a snug fit. Pull tab at back for easy on and off wear. Superlight foam in the midsole for added comfort and flexibility. Synthetic outsole. Imported. Weight of footwear is based on a single item, not a pair. Get the best out of every summer adventure with the comfortable style of the Flip Premier from Teva. Polyester webbing upper is soft and comfortable against your skin. Two minimalist crossover textile straps with a hidden toe post for a secure fit. Contoured EVA footbed for comfortable underfoot support. Low EVA wedge for added style and stability. Lightweight rubber outsole. Imported. Measurements: Weight: 8 oz Product measurements were taken using size 9, width B - Medium. Please note that measurements may vary by size. Weight of footwear is based on a single item, not a pair. The long-lasting durability and style of the Teva&amp#174 Hurricane XLT Infinity sandal will see you through every adventure and outdoor activity. Water-resistant spun poly webbing upper. Water-ready nylon webbing post stands up to abuse and dries quickly after getting wet. Easy slip-on style. 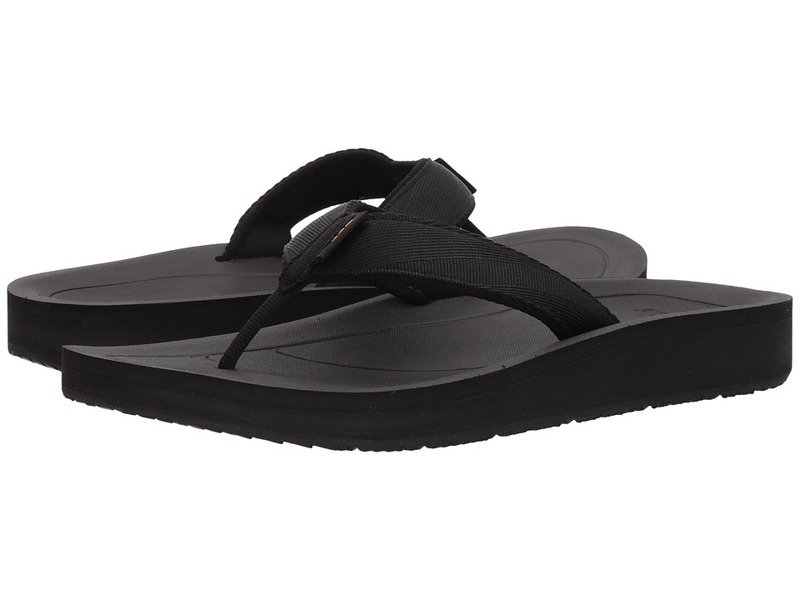 Contoured footbed with Microban&amp#174 zinc-based anti-microbial treatment. Nylon shank stabilizes and supports your foot on uneven terrain. Rugged Durabrasion Rubber&amp#8482 outsole stands up to abuse and supplies great traction. Imported. Measurements: Weight: 8 oz Product measurements were taken using size 9, width B - Medium. Please note that measurements may vary by size. Weight of footwear is based on a single item, not a pair. 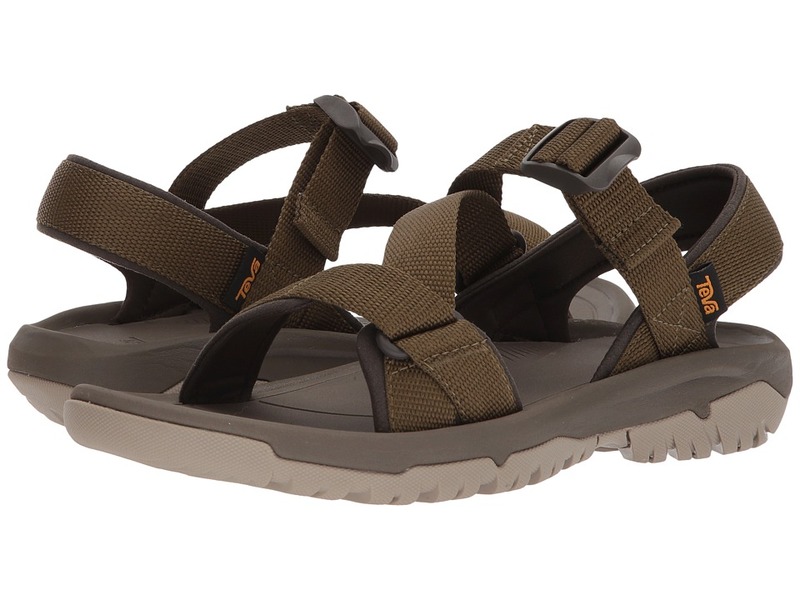 The Teva&amp#174 Hurricane XLT2 sandal will see you through every adventure and outdoor activity. Water-ready 30mm polyester webbing upper offers long-lasting durability and quick-drying materials. Three hook-and-loop closures for quick adjustability and a secure fit. Contoured footbed with textured pattern for added comfort. Comfortable EVA foam midsole for lightweight cushioning. Nylon shank stabilizes and supports your foot on uneven terrain. Rugged Durabrasion Rubber&amp#8482 outsole stands up to abuse and supplies great traction. Imported. Measurements: Weight: 9 oz Product measurements were taken using size 9, width B - Medium. Please note that measurements may vary by size. Weight of footwear is based on a single item, not a pair. 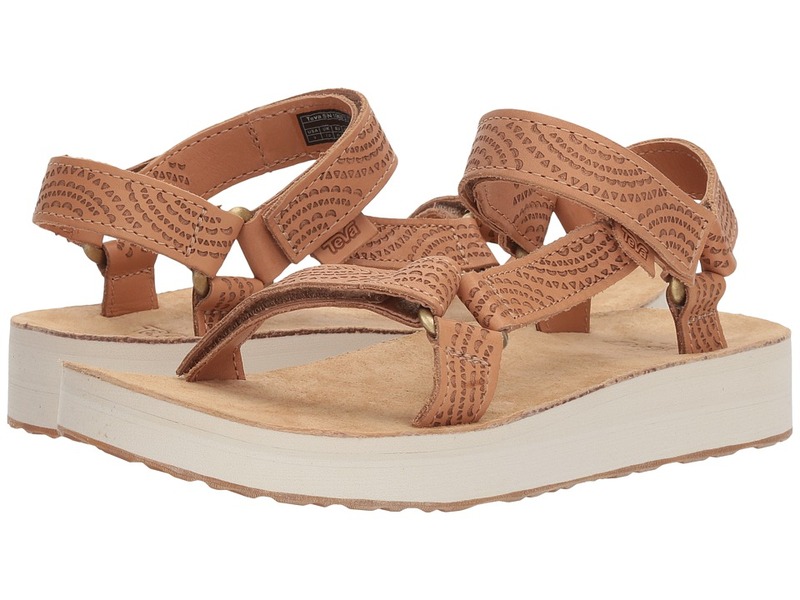 The Teva Midform Universal Geometric sandal is the perfect style to suit your summer look! Leather upper with eye-catching metallic geometric-shaped accents. Open toe construction prevents water from pooling. Universal strapping system offers an excellent secure fit and multiple points of adjustment for easy adjustability. Premium leather footbed for a soft and luxurious feel against the skin. Cushioned EVA midsole offers excellent underfoot support. Durabrasion rubber outsole provides durable traction. Imported. Measurements: Heel Height: 1 1 4 in Weight: 9 oz Platform Height: 1 in Product measurements were taken using size 8, width B - Medium. Please note that measurements may vary by size. Weight of footwear is based on a single item, not a pair. 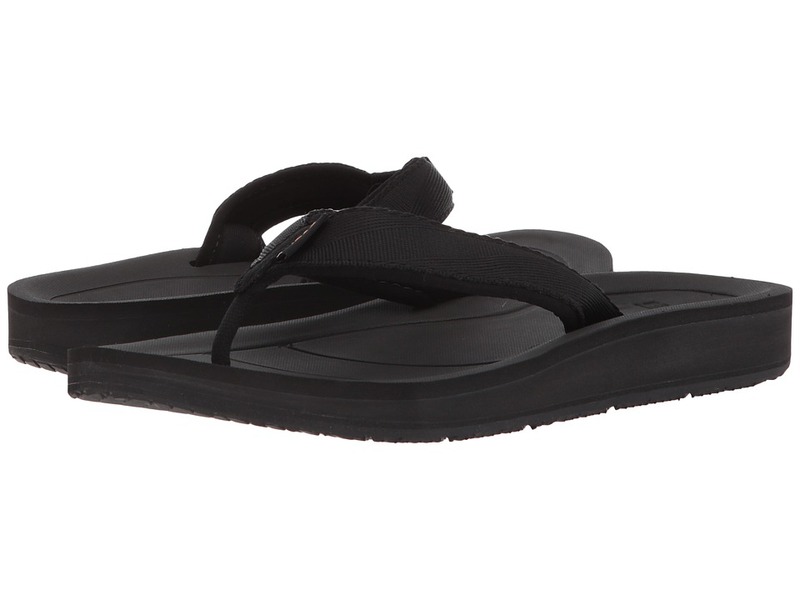 You will love the super sleek style of the Sirra sandal from Teva. Water-ready polyester webbing stands up to abuse and dries quickly after getting wet. Canvas strap with ladder lock enclosure for a customized fit. Contoured EVA footbed provides underfoot comfort and support. Lightweight EVA-foam midsole. Rugged Durabrasion Rubber&amp#8482 outsole stands up to abuse and supplies great traction. Imported. Measurements: Weight: 7 oz Product measurements were taken using size 9, width B - Medium. Please note that measurements may vary by size. Weight of footwear is based on a single item, not a pair. 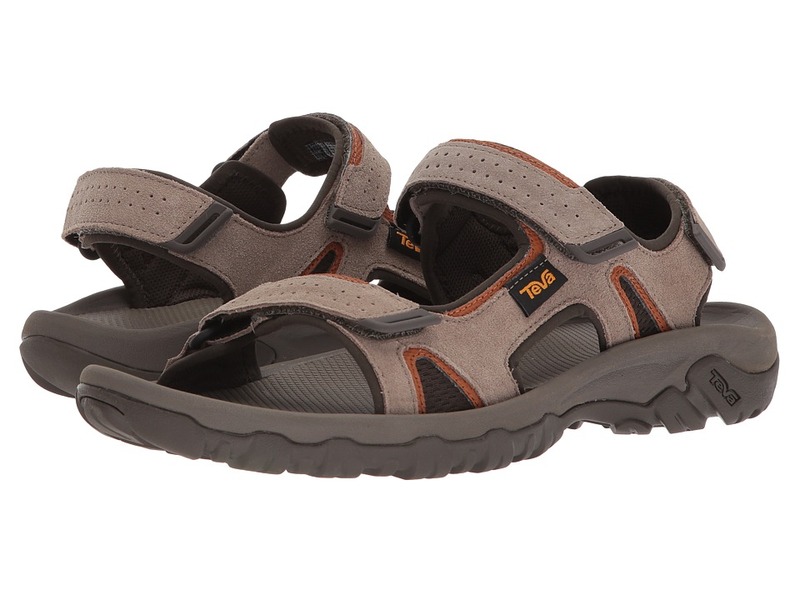 The Teva&amp#174 Hurricane XLT2 sandal will see you through every adventure and outdoor activity. Water-ready polyester, nylon, and recycled PET webbing upper. Three hook-and-loop closures for quick adjustability and a secure fit. Cushioned heel tab for increased comfort. Contoured footbed with textured pattern for added comfort. Comfortable EVA foam midsole for lightweight cushioning. Nylon shank stabilizes and supports your foot on uneven terrain. Rugged Durabrasion Rubber&amp#8482 outsole stands up to abuse and supplies great traction. Imported. Measurements: Weight: 11 oz Product measurements were taken using size 11, width D - Medium. Please note that measurements may vary by size. Weight of footwear is based on a single item, not a pair. 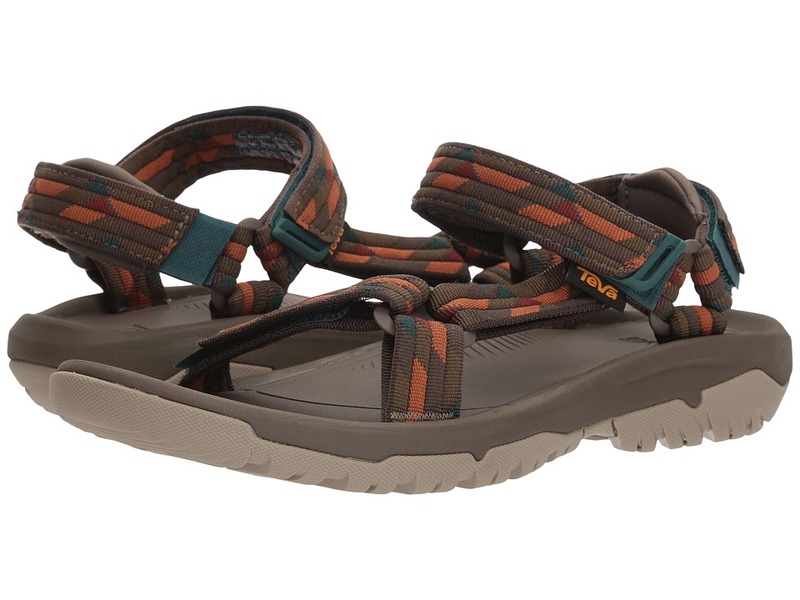 The Teva&amp#174 Hurricane XLT2 Cross Strap sandal will see you through every adventure and outdoor activity. Water-ready 30mm polyester webbing upper offers long-lasting durability and quick-drying materials. Ladder lock enclosure for quick adjustability on the fly. Contoured footbed with textured pattern for added comfort. Comfortable EVA foam midsole for lightweight cushioning. Nylon shank stabilizes and supports your foot on uneven terrain. Rugged Durabrasion Rubber&amp#8482 outsole stands up to abuse and supplies great traction. Imported. Measurements: Weight: 9 oz Product measurements were taken using size 12, width D - Medium. Please note that measurements may vary by size. Weight of footwear is based on a single item, not a pair. 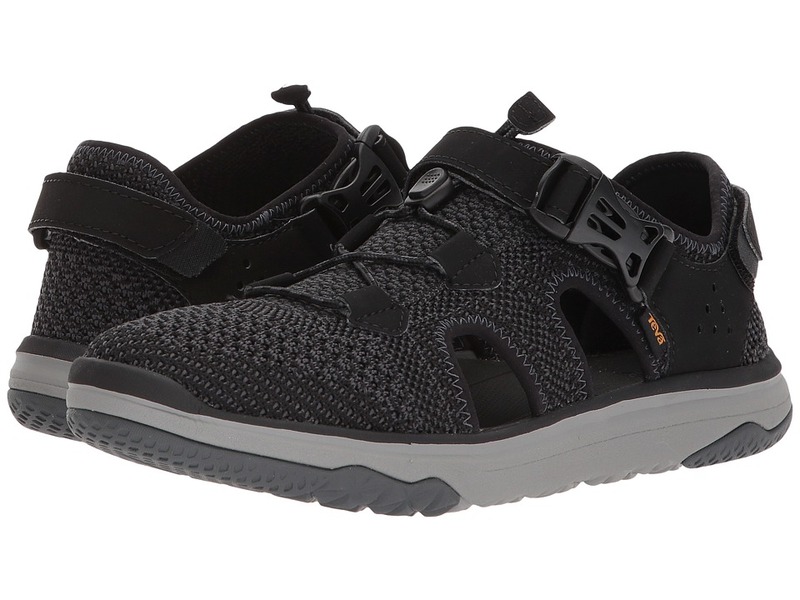 The breathable comfort and reliable traction of the Teva Terra-Float Travel Knit shoe will let you travel on with confidence even the tough terrains. Fully knitted mesh upper with synthetic overlays for added security and a comfortable fit. Two hook-and-loop straps and bungee-lace closure for adjustable comfort. Breathable textile lining wicks away moisture and is antimicrobial treated for a fresher foot environment. Cushioned footbed that offers 360&amp#186 of socklike comfort. FloatLite foam midsole is ultralight and durable. Durabrasion Rubber&amp#8482 EVA outsole provides durable traction across any surface. Imported. Measurements: Weight: 10 oz Product measurements were taken using size 11, width D - Medium. Please note that measurements may vary by size. Weight of footwear is based on a single item, not a pair. Get the best out of every summer adventure with the comfortable style of the Flip Premier from Teva. Polyester webbing upper is soft and comfortable against your skin. Two minimalist crossover textile straps with a hidden toe post for a secure fit. Contoured EVA footbed for comfortable underfoot support. Low EVA wedge for added style and stability. Lightweight rubber outsole. Imported. Measurements: Weight: 9 oz Product measurements were taken using size 11, width D - Medium. Please note that measurements may vary by size. Weight of footwear is based on a single item, not a pair. 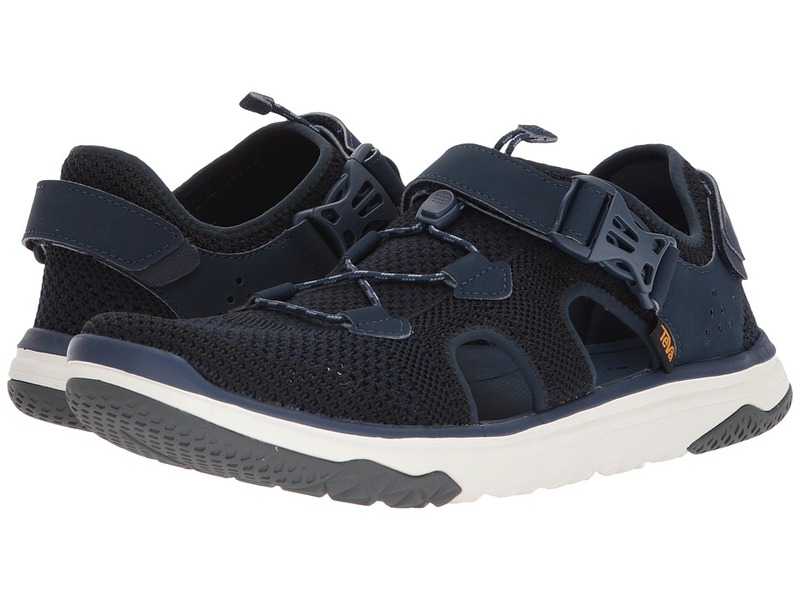 The breathable comfort and reliable traction of the Teva Terra-Float Travel Knit shoe will let you move with confidence even the tough terrains. Fully knitted mesh upper with synthetic overlays for added security and a comfortable fit. Two hook-and-loop straps and bungee-lace closure for adjustable comfort. Breathable textile lining wicks away moisture and is antimicrobial treated for a fresher foot environment. Cushioned footbed that offers 360&amp#186 of sock-like comfort. FloatLite foam midsole is ultralight and durable. Durabrasion Rubber&amp#8482 EVA outsole provides durable traction across any surface. Imported. Measurements: Weight: 8 oz Product measurements were taken using size 9, width B - Medium. Please note that measurements may vary by size. Weight of footwear is based on a single item, not a pair. 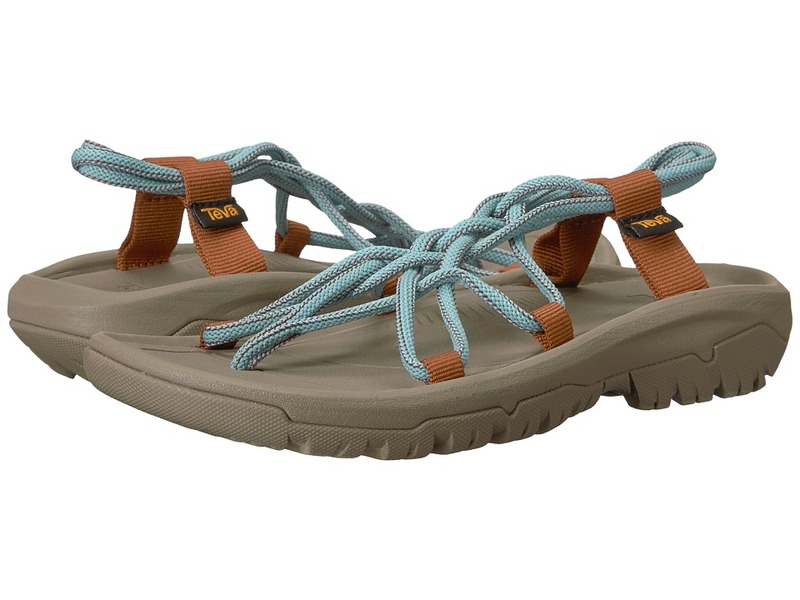 Get your summer style flowing with the Teva Terra-Float 2 Universal sandal! Water-ready polyester webbing upper stands up to abuse and dries quickly after getting wet. Easy hook-and-loop closure for quick and easy adjustments. Breathable textile lining. Cushioned EVA footbed for excellent comfort and support. Float-Lite outsole made from soft, comfortable EVA and rubber blend. Outsole features rugged Durabrasion Rubber that stands up to abuse and supplies great traction. Imported. Measurements: Weight: 7 oz Product measurements were taken using size 8, width B - Medium. Please note that measurements may vary by size. Weight of footwear is based on a single item, not a pair. 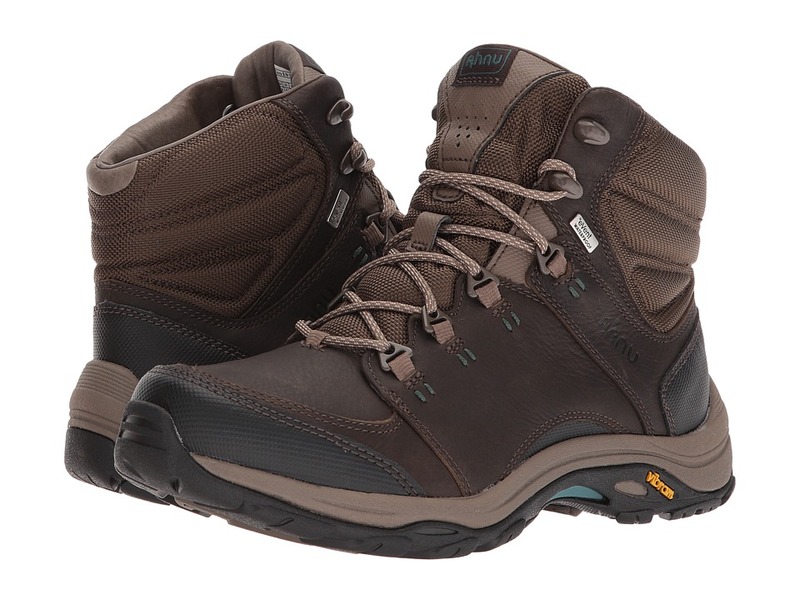 The Teva Montara III FG Event Boot that will keep you steady and confident on muddy, rocky and rugged terrain. Waterproof full grain leather upper. Waterproof eVent membrane seals out rain, puddles and other things that splash to keep your feet dry. 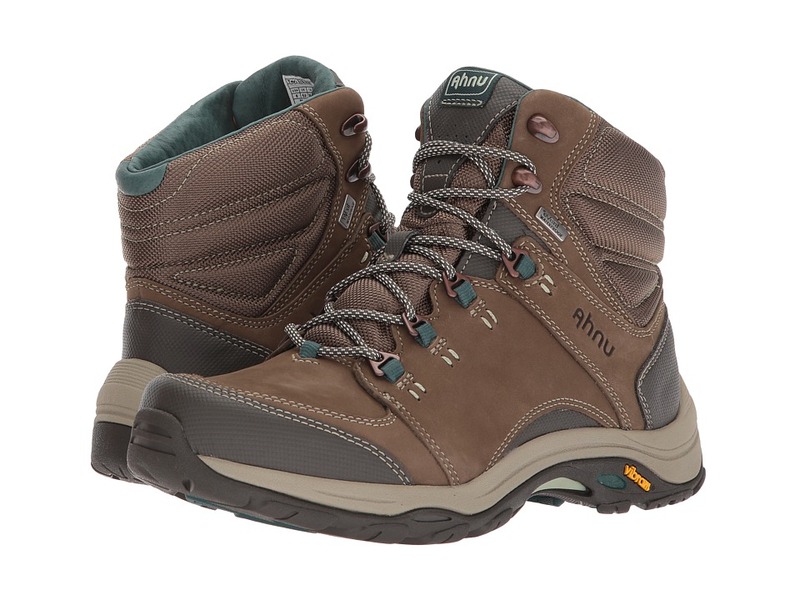 Numentum&amp#174 Hike technology to keep your foot extra stable on challenging trails. Pig leather lining provides luxurious interior comfort. Dual-density EVA sockliner cushions the foot and puts a spring in your step. Features Aegis Antimicrobial Treatment that keeps the funk out of the footwear. Dual-density EVA midsole with Numentum technology for added stability. Custom Vibram&amp#174 Megagrip outsole for outstanding traction and durability. Imported. Measurements: Weight: 15 oz Shaft: 5 in Product measurements were taken using size 8.5, width B - Medium. Please note that measurements may vary by size. Weight of footwear is based on a single item, not a pair. 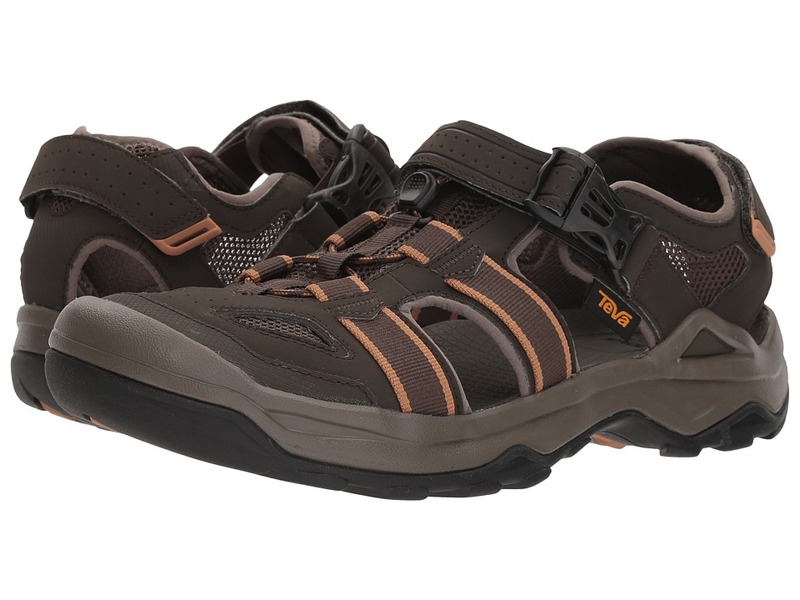 The Teva Montara III FG Event low-top hiking shoe that will keep you steady and confident on muddy, rocky and rugged terrain. Waterproof full grain leather upper. Waterproof eVent membrane seals out rain, puddles and other things that splash to keep your feet dry. Numentum&amp#174 Hike technology to keep your foot extra stable on challenging trails. Pig leather lining provides luxurious interior comfort. Dual-density EVA sockliner cushions the foot and puts a spring in your step. Features Aegis Antimicrobial Treatment that keeps the funk out of the footwear. Dual-density EVA midsole with Numentum technology for added stability. Custom Vibram&amp#174 Megagrip outsole for outstanding traction and durability. Imported. Measurements: Weight: 12 oz Product measurements were taken using size 7.5, width B - Medium. Please note that measurements may vary by size. Weight of footwear is based on a single item, not a pair. The Teva Montara III Event Boot will keep you steady and confident on muddy, rocky and rugged terrain. Waterproof nubuck leather upper. Waterproof eVent membrane seals out rain, puddles and other things that splash to keep your feet dry. 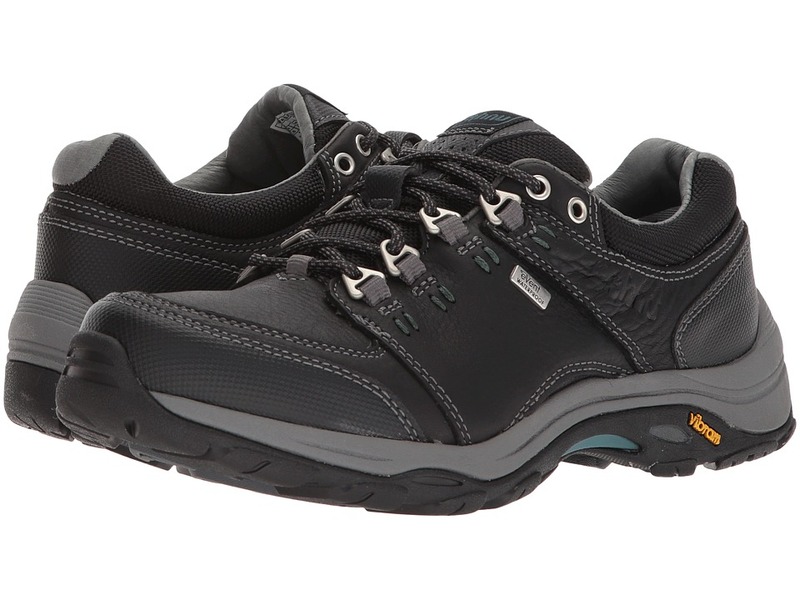 Numentum&amp#174 Hike technology to keep your foot extra stable on challenging trails. Pig leather lining provides luxurious interior comfort. Dual-density EVA sockliner cushions the foot and puts a spring in your step. Features Aegis Antimicrobial Treatment that keeps the funk out of the footwear. Dual-density EVA midsole with Numentum technology for added stability. Custom Vibram&amp#174 Megagrip outsole for outstanding traction and durability. Imported. Measurements: Weight: 14 oz Product measurements were taken using size 8.5, width B - Medium. Please note that measurements may vary by size. Weight of footwear is based on a single item, not a pair. 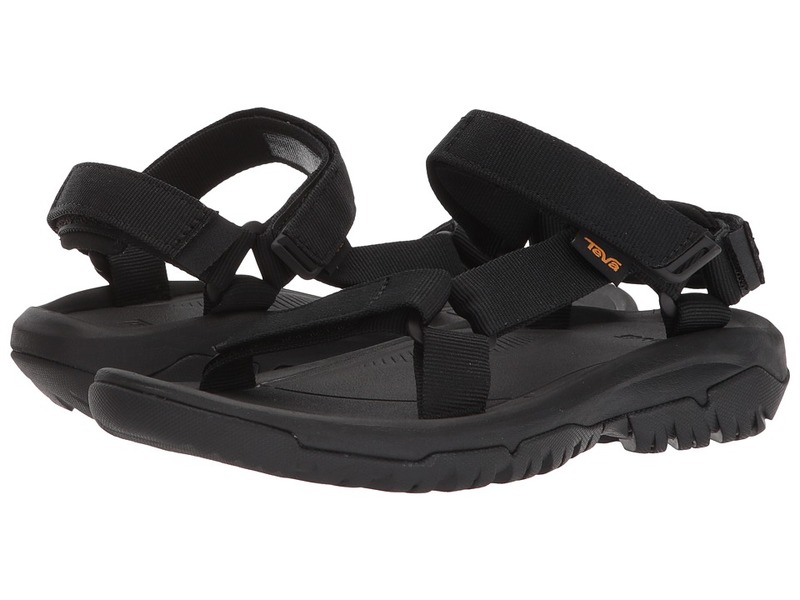 The versatile Omnium 2 Leather sandal is ready for every outdoor adventure both on land and in the water! Leather upper. Elastic gore stretches with your foot for lace-free comfort. Hook-and-loop strap with buckle closure allows for quick and easy adjustability. Integrated toe-protection. Microban zinc-based anti-microbial protection fights the growth of odor-causing bacteria and fungus. Cushioned man-made footbed provides excellent underfoot comfort. Cushioned EVA-foam midsole for underfoot support and shock absorption. Nylon shank stabilizes and supports your foot on uneven terrain. Non-marking, Spider Rubber outsole is a versatile rubber compound that successfully blends high friction and good durability, and performs exceptionally well on both wet and dry terrain. Imported. Measurements: Weight: 1 lb Product measurements were taken using size 11, width D - Medium. Please note that measurements may vary by size. Weight of footwear is based on a single item, not a pair. 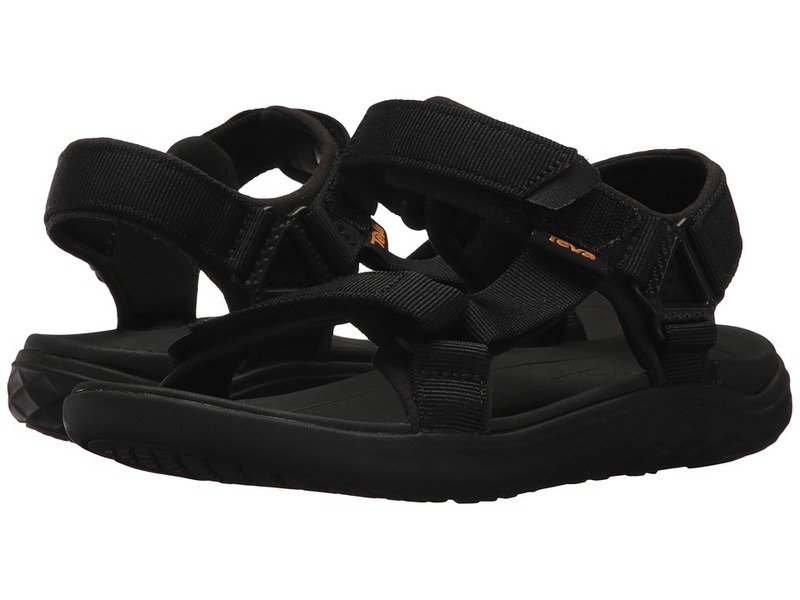 The Teva Omnium 2 sandal has a versatile and comfortable construction that is ready for every outdoor adventure both on land and in the water! Quick-drying synthetic upper. Elastic gore stretches with your foot for lace-free comfort. Hook-and-loop strap with buckle closure allows for quick and easy adjustability. Integrated toe-protection. Microban zinc-based anti-microbial protection fights the growth of odor-causing bacteria and fungus. Cushioned man-made footbed provides excellent underfoot comfort. Cushioned EVA-foam midsole for underfoot support and shock absorption. Nylon shank stabilizes and supports your foot on uneven terrain. Non-marking, Spider Rubber outsole is a versatile rubber compound that successfully blends high friction and good durability, and performs exceptionally well on both wet and dry terrain. Imported. Measurements: Weight: 15 oz Product measurements were taken using size 12, width D - Medium. Please note that measurements may vary by size. Weight of footwear is based on a single item, not a pair. 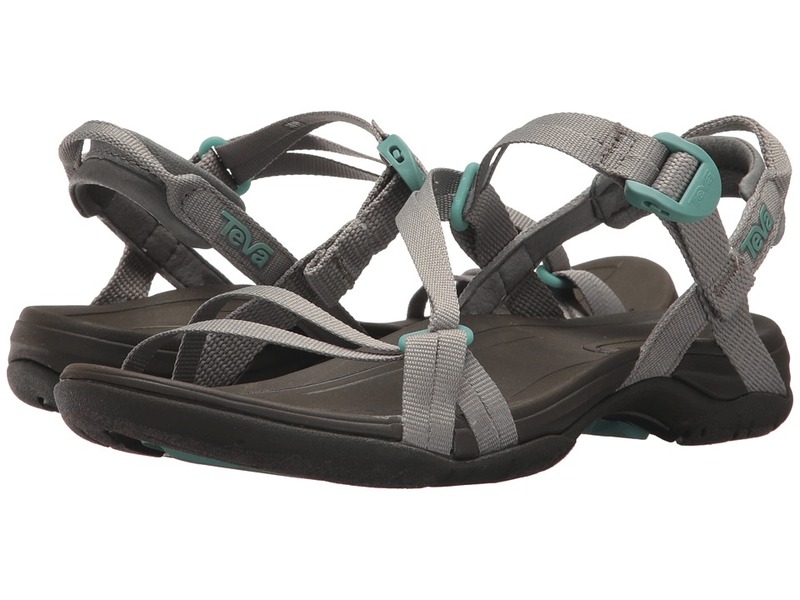 The Teva Katavi 2 sandal contours your feet for the support you need to power through every adventure! Suede and mesh upper. Features Microban&amp#174 Zinc based anti-microbial protection. Contoured EVA footbed supports your arch to keep your foot happy. Compression-molded EVA midsole provides excellent underfoot support and comfort. Nylon shank stabilizes and supports your foot on uneven terrain. Durabrasion Rubber&amp#8482 outsole stands up to abuse and supplies great traction. Imported. Measurements: Weight: 12 oz Product measurements were taken using size 12, width D - Medium. Please note that measurements may vary by size. Weight of footwear is based on a single item, not a pair.